How did your book Points of Entry come about? After seeing the movie, Bright Star, about the life of John Keats, I became obsessed with the line “Touch has a memory.” And it wasn’t the first time I’d been struck by this idea, as I’ve never forgotten the book by Bill Holm, Boxelder Bug Variations, where he’s interviewing an entomologist and asks, “Can bugs think?” The entomologist says, “No, but they have memory.” Now, thinking back, I realize my title poem in Undoing Orion’s Belt has a line that goes, “Memory takes hold, plain memory, and stars.” So this is one of those reoccurring themes in my writing similar to a reoccurring dream. All the poems in Points of Entry stem from these three words: touch has memory. In 2010, my Aunt Carol was dying of Stage IV ovarian cancer at the same time my massage therapist, Kassi, was diagnosed with Stage III ovarian cancer, at the age of 56. 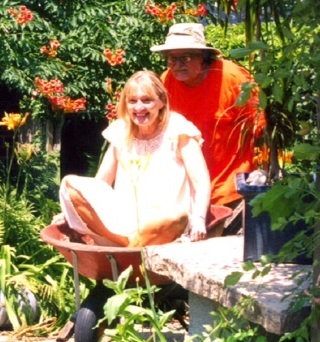 They were both a vital part of my world, and as they lost more and more of their abilities, I was given a heightened awareness of things I’d otherwise take for granted, like being able to climb a ladder, pick cherries, or pull a Kleenex from a box. I remember when a mutual friend told me about Kassi’s cancer, and my first thought was, what are we going to do without her, and then I realized I’d do what she’d been teaching me to. So this book is in memory of Kassi Riordan whose healing touch lives. Writing poetry means to make art out of my human experience. It means to hold onto something old and ancient, to create an intimate connection, and to story the moments of my life. I hope my poetry opens up conversations within themselves and allows them to risk and take chances and pick up their paintbrushes or carpentry tools or knitting needles and create their own art that comes right out of their bodies. I want readers to find ways to regain their losses, to heal, to relate, however awkwardly, human-to-human, with all our vulnerabilities right out on the table. How has working on the prairie influenced your writing? I had volunteered on the prairie for six years before actually working here, and believe it or not, one of the draws was literature! The very first time I came to this prairie I heard Bill Kloefkorn and Jonis Agee reading in an old pole shed with a tin roof and I was totally seduced by the cadences of their voices mixed with the thunder and pounding rain! I’ve spent a lot of time with ornithologists, entomologists, herpetologists, and botanists, and their enthusiasm and obsessions are contagious. There’s never a dull moment in the natural world if you pay attention. The hours I’ve spent with students and scientists on the prairie feeds my spirit, and definitely carries over to my writing! I often say insects don’t make me lonely. I have a cluster of Lady Beetles hibernating in the corner of the bedroom right now! 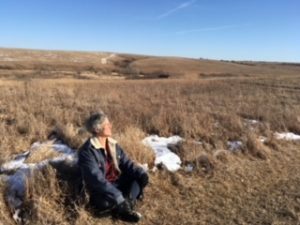 The prairie has given me a home where I don’t feel displaced anymore, but rather, am a part of, no different than the coyote or the caterpillar, like I actually belong here as some small part of the ecosystem. The prairie is the one place where things make sense— from the seeds to the insects, to the woodchuck. The kind of poetry that excites me makes me feel something! I want a poem to disrupt my perceptions, create an image or a phrase that won’t leave my mind or body for days (maybe never) and I want it to be tactile. I’m rereading Libido Dreams by Glenna Luschei and Raymond Carver’s A New Path To The Waterfall. And for the first time Kwame Dawes Duppy Conqueror from Copper Canyon Press. Explore your capacity for solitude, find your writing community, and show up for each other.